Click here to download, review, print and sign the health guarantee. 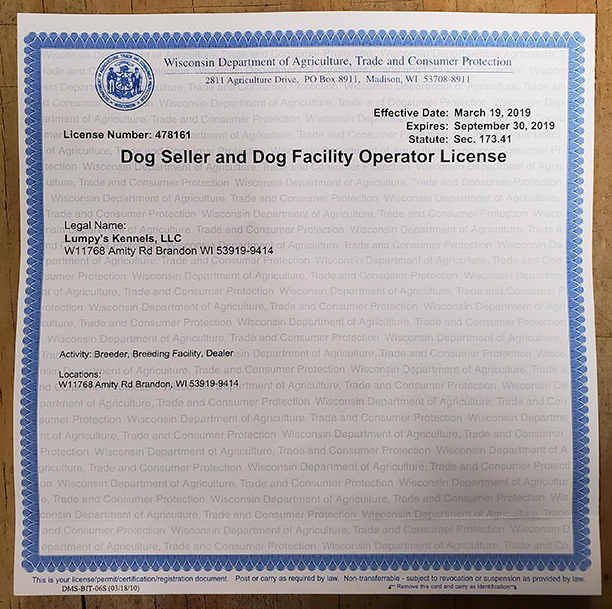 Click here to view Lumpy's Kennel WI Kennel Operators License. DO NOT use an electric underground fence on your puppy until after they have completed the gun dog course and are properly electric collar conditioned! 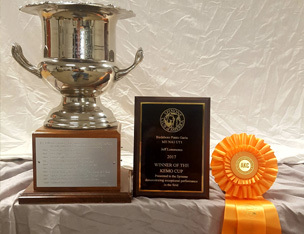 2017 WINNER OF THE KEMO CUP - see below! On August 21, 2016, she earned a Prize I with a maximum score of 204 in a NAVHDA Utility test. At the age of 1 year 5 months of age. This makes her the youngest Spinone in history to accomplish this. This comes after, at 4.9 months old, receiving a 112 point, Prize I, perfect NAVHDA natural Ability score! 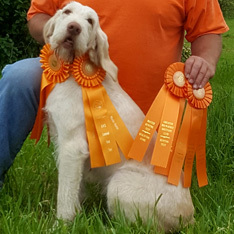 Welcome to Lumpy's Kennels, training and boarding facility, specializing in training hunting dogs, competition dogs, and obedience for companion dogs. 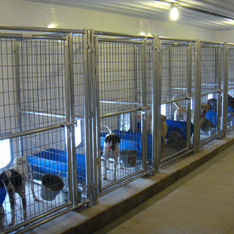 Lumpy's Kennels is owned and operated by Jeff Lemmenes. 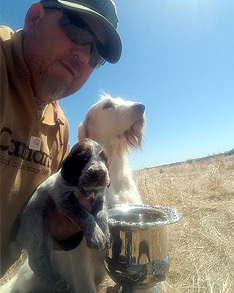 Jeff has been training dogs professionally, full time, for over 10 years. Lumpy's Kennels trains all types of gun dogs... flushers, retrievers, and pointers, including blood scent trailers and hounds, as well as obedience training for companion dogs. We train through all Wisconsin seasons - even the winter. Scenting conditions are great and the cover has been groomed to handle the Wisconsin winters. 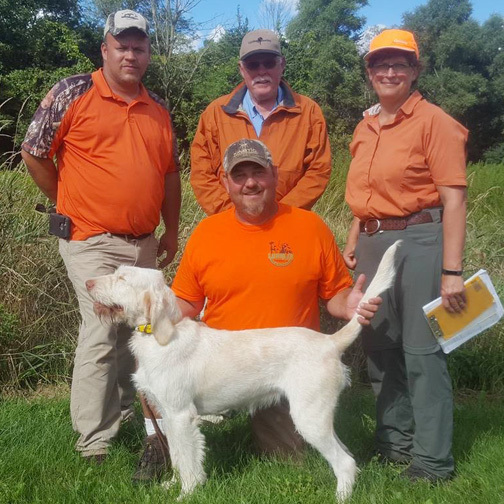 This is a GREAT time to lay the foundation then roll into spring/summer and reinforce the training to have a confident, well trained bird dog come fall. Take a look around our site and contact us today to discuss any of your upcoming training needs! 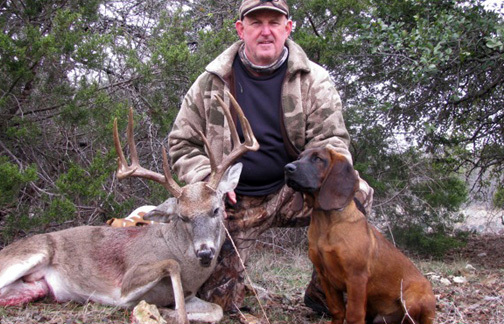 I had my German Shorthair Pointer trained by Lumpy. 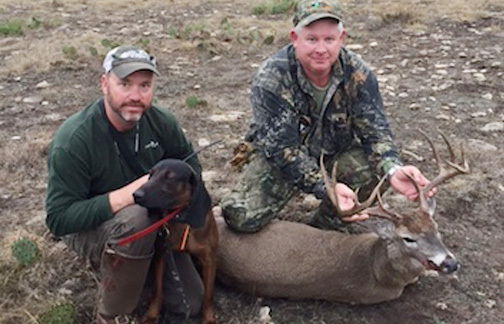 Jeff took time to understand me, my family and my hunting and I couldn’t be more impressed or grateful with how Belle works in the field and behaves at home. 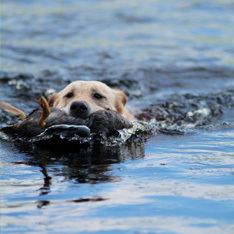 Whether it’s retrieving ducks in September on the Wolf River, grouse up north in October, or upland game at the club in November, Lumpy helped me by reinforcing Belles instincts and created a huntress who is a true joy to hunt over or enjoy in my home. 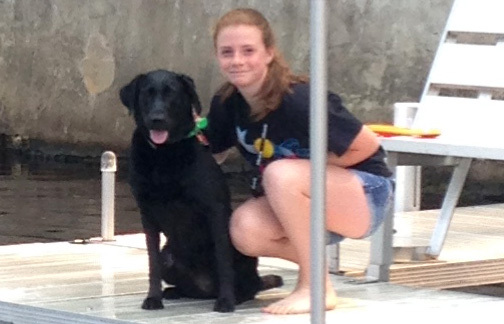 Just wanted to send you a quick note to say thank you for the training you did with our black lab (Bella). We have had her back for a little over a month now and what you did in the 7 weeks you had her is nothing short of amazing! She came back an awesome family pet who listens, won’t jump on the neighbors, and can be walked around the neighborhood off-leash. 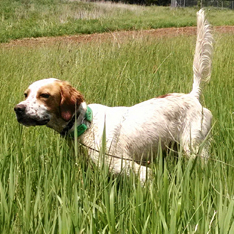 You also brought out her hunting instinct and her swimming skills – I can hardly wait until Fall to get her on some Pheasants. I also want to say thank you for taking the time to “train me” as I was probably the most inexperienced first-time dog owner you have ever dealt with. "Rebel" - Doc x Autumn breeding - Rebel has tracked deer for us, he is a nice specimen and a hard worker. I have owned German shorthaired pointers my entire life and have had some fabulous dogs along the way. 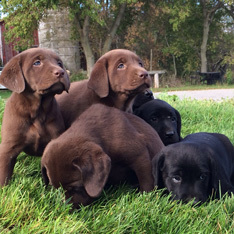 Each one has their own unique personality, behavior patterns and skill sets. 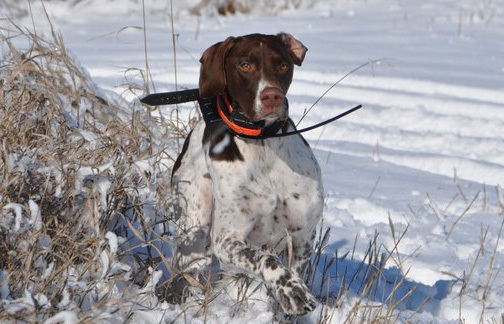 This is important to note, because I have a comprehensive background in owning GSP’s and in addition have hunted over a lot of other dogs, this experience affords me a unique perspective and a barometer to evaluate them. As you may know puppies can be a challenge on a number of fronts. Mika was without question the easiest dog I have ever had to house break and he was a non-destructive puppy with regard to furniture, remotes, shoes, and clothing items. I raised him with two other GSP’s and he socialized very well with them. I run him in the park every day where he has encountered dozens of dogs, off leash, over the last two years and he has never had a physical confrontation with any them. I frequently take him to my office where he socializes with people. He is gentle, well mannered, obedient, and very tolerant of children. I am an avid veteran grouse and woodcock hunter (35 years). As it was once stated by the late Burton Spiller; “They’re two types of dogs, hunting dogs and then there are grouse dogs”. For those of you who haven’t hunted ruffed grouse I will explain why Mr. Spiller’s statement has such wisdom. BMH puppy at only 5.5 months old! Training the owner as well as the dog.